Has European music startup Spotify finally figured out the online music business? Some big investors seem to think so. Rumors surfaced today that the company is raising a new round of financing of $50 million or so, at valuation of $250 million. We’ve confirmed those rumors from a source close to the company, and have uncovered lots more information about the secretive startup. First, we’ve confirmed that Asian investor Li Ka-Shing, who invested in Facebook in 2007, will invest in this round, as will a yet to be finalized venture firm. Also, data on previous financings was not completely accurate. Last October there were rumors that the company had raised €15.3 million from Northzone Ventures and Creandum at a €71.6 million pre-money valuation. In fact, that round was closer to €20 million, and included investments from the big music labels – Universal Music Group, Sony BMG, EMI Music, Warner Music Group. All of the labels, says our source, paid the same price for the stock that the venture capitalists did, other than one label that got in very early. That deal valued the company at €100 million, and secured (as much as possible) the long term support of the big music labels. The new financing will bring in new “strategic” investors, which include rights holders in other geographic locations, according to our source. And while new investors are balking at the $250 million valuation, strong demand from venture capitalists is supposedly driving this deal to a close. The company has yet to launch in the U.S., but boasts 2 million UK users, its biggest market. They are also launched in Germany and Sweden. Users can listen to music for free on a downloaded application with advertising, or pay a premium fee to remove the ads. 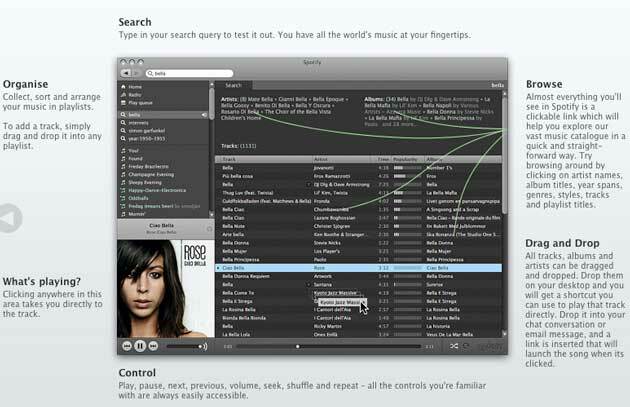 Some labels are supposedly making more money now from Spotify than iTunes in the markets the service is available. Keep an eye on this company. And let’s hope it launches in the U.S. soon.